Presented by Antonia Quirke. Ralph Fiennes discusses The White Crow, his drama about Rudolf Nureyev's defection to the west, and Patricia Clarkson on her role in Out of Blue. 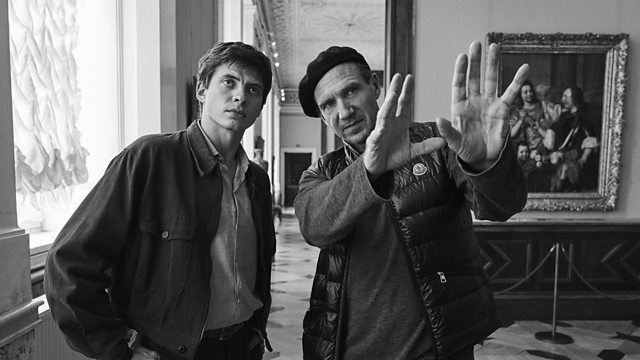 Ralph Fiennes and producer Gaby Tana discuss The White Crow, their drama about Rudolf Nureyev's defection to the West. Ralph explains why so much of the film is in Russian and why he believes that if Schindler's List was made now it would not feature British actors doing German accents. Patricia Clarkson discusses her role as a cop in philosophical crime drama Out Of Blue and why people still come up to her and say "brush my hair". Writer and broadcaster Carl Anka tells us why Bugs Bunny is really black.